December is so full of fantastic holidays! No matter what you celebrate, it’s time for family, friends, celebration, and relaxation. But wait, do all those great things mesh with the LSAT? Well, it’s up to you! Preparing for the LSAT over the holidays can really be a challenge. Thankfully, you can overcome it. Take a look these ten ways to amp up your LSAT holiday prep! The first step to being productive over the holidays is to be realistic. Are you responsible for a lot of cooking, cleaning, and decoration? Then may be it’s unrealistic to expect to do two preptests a day. Aim high, but set yourself up for success versus failure. You should anticipate where the traffic will be in your home. If you know your family and guests like to hang out in the living room, but your desk is there, you might want to relocate. Figure out where you can find some quiet space to get your hours of study in. Be prepared to use your free time wisely. 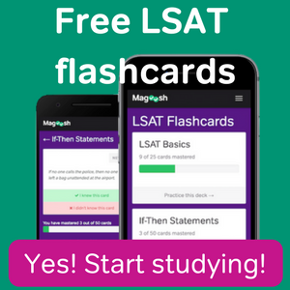 You can use flashcards if you’re at home or traveling, or continue your Magoosh LSAT lessons online. If you let your loved ones be aware that you’re still seriously preparing for the LSAT, they should give you the support and space you’ll need. Keep them informed about when you’ll need to study and where. If they support you, they should be good about not disturbing you at the wrong times. 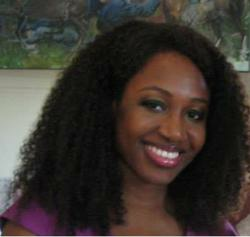 At the same time, make sure to schedule enough family time so they don’t feel neglected. Certainly, the holidays are a big time for eating! You’ll have dinners, cookies, and New Year’s parties to fill you up. But remember, staying balanced helps your body and mind. Nutritious food will help you perform well as you do your LSAT holiday prep. So enjoy your treats–but don’t forget your staple foods and nutritional needs! The holidays are a great time to rest, spend quality time with your family, and generally recharge. To do well on the LSAT, it’s a priority to care for your mental health. Using this time to have fun and refresh your mind would be wise. While you’re away from school, or just on vacation, take advantage of time away from mountains of work to focus on the big picture. Remind yourself why you’re taking this test and applying to law school. That motivation can stick with you until test day. 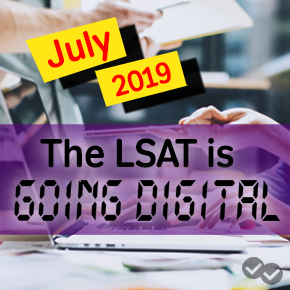 With time away from college, or at home for the holiday, you might finally have time to read your prep books, LSAT articles, or Economist subscription. Take advantage of any down time with some quality reading to prepare for the reading comprehension section. 10. Look Out for Reasoning Flaws! Finally, one of the most entertaining ways you can prep over the holidays is to look out for reasoning flaws in your everyday life. When you’re watching the news, movies with your family, or having conversations, you’ll have plenty of opportunities to catch reasoning flaws. If someone attacks your brother’s character instead of his argument, point out the ad hominem flaw. This could get either very fun or frustrating for your family, but it’s worth the practice time! Hopefully, all of these tips serve you well for LSAT holiday prep. If you have any funny stories to share about studying for the LSAT over break, comment below!